This unofficial Disney event was originally inspired by the release of Bossert’s book Oswald the Lucky Rabbit: The Search for the Lost Disney Cartoons. Oswald was Walt Disney’s first animated character in the 1920s and 1930s. Bossert says that without Oswald, we may never have had Mickey Mouse and the world of Disney that we know today. With Black & White Day, Bossert and Glick pay homage to Oswald and other early Disney Cartoons that started it all. 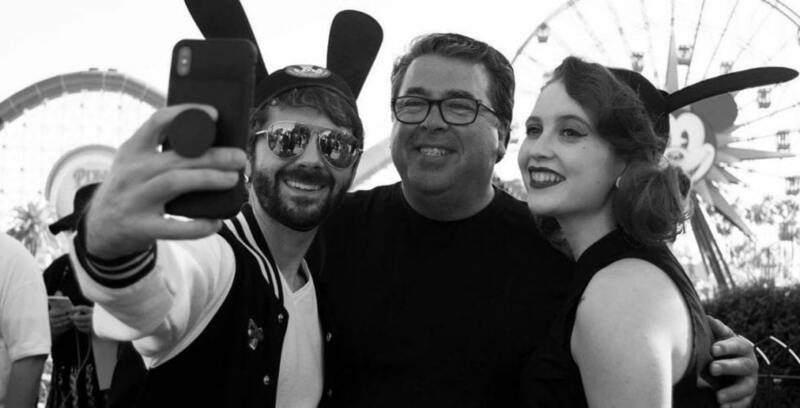 In addition to photo opportunities with Disney influencers and YouTubers, Glick promises a day of raffle prizes, giveaways, and an award for best dressed participant. The first one hundred attendees will receive a limited edition postcard, with the option of having it signed by Bossert himself. Disney stylist Cassandra Briskman and Disney Instagrammer Jessi Wills will also be co-hosting the day’s festivities. A pre-event giveaway will also launch on Instagram during the second week of April. Click here to head to the Facebook event page.